Book Notes Get NPR book reviews and stories sent to you each week. Get NPR book reviews and stories sent to you each week. November 10, 2010  In his new memoir, Decision Points, former President George W. Bush revisits nearly all the controversial decisions of his tenure — and defends them with vigor. Historian H.W. 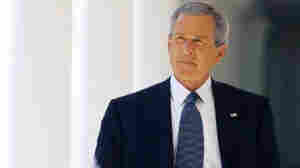 Brands suspects history won't be as easy on Bush as Bush is on himself.